NOVOSIBIRSK, August 23 – RIA Novosti. 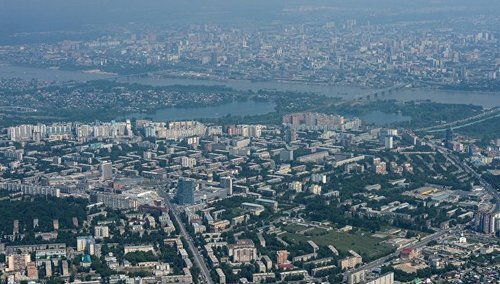 The Novosibirsk region plans to double by 2020 – up to $ 100 million – to increase the overall export of agricultural products, including expanding economic cooperation with China, the regional government reports citing interim government deputy Stanislav Tishurov. The regional government explained that on August 21, Tishurov attended a meeting of the Russian-Chinese subcommittee on agriculture of the commission for the preparation of regular meetings of the heads of government of Russia and China in the Chinese city of Dalian. At the meeting, issues of development of trade in agricultural products were discussed, including proposals for the Siberian region to enhance the effectiveness of cooperation with China, one of the key strategic partners of the Novosibirsk region. “Currently, the production of the agro-industrial complex is about 50 million dollars in the total export volume of the region, and we set ourselves the task of doubling this figure until 2020,” Tishurov said. The regional government informed that at a meeting where the issue of joint formation and maintenance of the register of reliable exporters by the Russian Federation and importers from the PRC was discussed, the Novosibirsk region announced plans to further strengthen and expand economic relations with China in the field of agriculture. In 2017, the share of China in the foreign trade turnover of the Novosibirsk region was 30.6% (1.3 billion dollars). The PRC is the leading partner of the Novosibirsk region for export – 24.1% ($ 507 million) and for imports – 36.9% ($ 803 million). From agricultural products to China, mainly products of animal origin, cereals, products of flour-and-cereals industry, oil seeds and fruits (rapeseed or colza seeds), products for the preparation of sauces, cocoa and products from it, other food products are mainly exported to China.